Names like Haribo Bohnen make me giggle. Reviewing candy for over 10 years now (which is ridiculous) and I’m still amazed there is so much Haribo. It feels like they release new candy every month. Much of it only available in Europe, such as these Saur Bohnen, or sour beans. So to get these you have to do what I do, which is live in a city with little shops that must get these from some overseas importer, or go online and buy them from Germandeli.com or other purveyor. These sour beans are fine. There’s so much good sour candy now that it takes a lot to impress me. Plus there’s so much to buy that the question becomes, “do you go out of your way for the Haribo Saur Bohnen?” No, you don’t. Partly because they actually kind of taste like old school jelly beans. 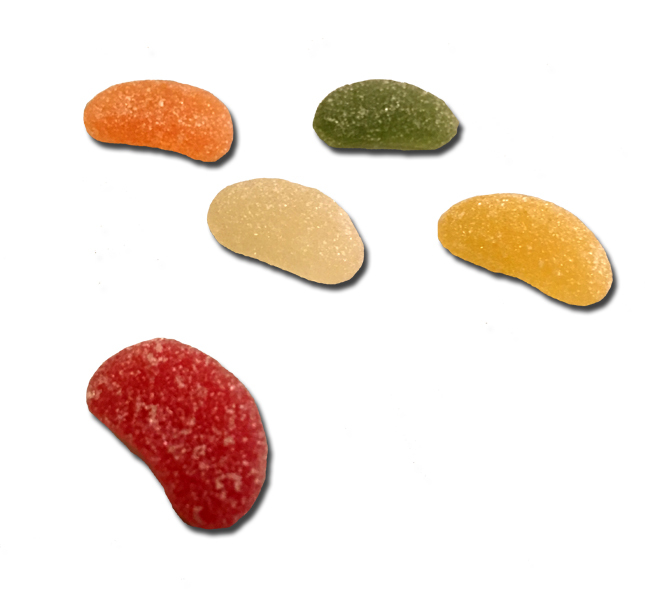 The ones with the basic-kinda-lame-sorry-Brach’s flavors; not the super good Jelly Belly types. 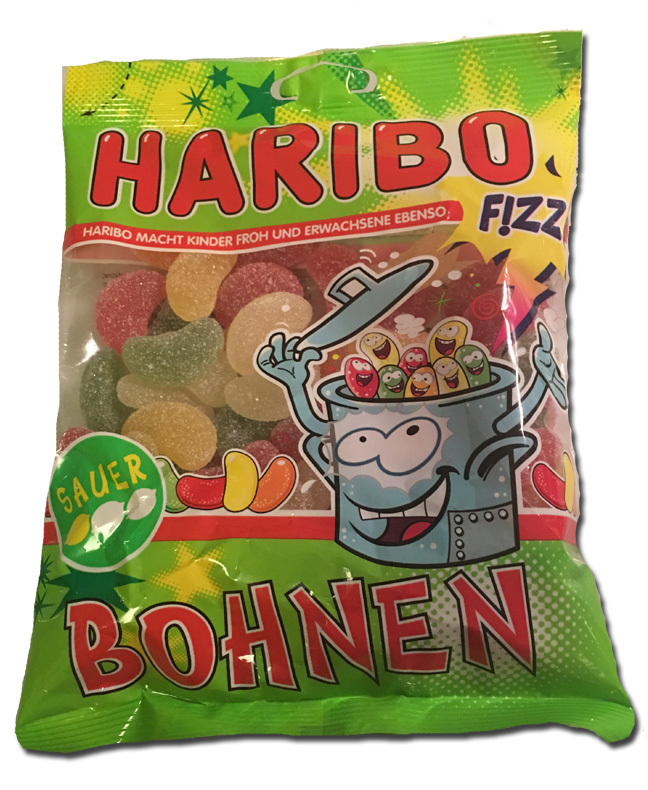 Plus the saur bohnen don’t have the great Haribo chew that I love. These beans are kinda soft. So I don’t love these. But you know, who doesn’t like Bohnen.